I wasn’t planning on posting this. Actually I was planning my next blog to be another Best Picture review. Instead I post this because of how shocking it is. And of how much I admired him and his works. Philip was born in Fairport, New York (just outside of Rochester) on July 23, 1967, one of four children to family court judge Marilyn O’Connor and Xerox executive Gordon Hoffman. His parents divorced when he was 9. Hoffman’s past-time in high school was wrestling but switched to acting after a neck injury caused him to quit. Talent was noticed at a young age as he was selected at 17 to attend the 1984 theatre school at the New York State Summer School Of The Arts in Saratoga Springs. He graduated from Fairport High School in 1985 and attended the Circle in the Square Theatre’s summer program. He would go on to attend New York University’s Tisch School Of The Arts and graduated with a BFA in 1989. Soon after he had a bout of alcohol and drug addiction which we would attend rehab for shortly after and eventually overcome. He made his acting debut on television acting in a 1991 Law & Order episode. His first film role came in 1992’s Scent Of A Woman. Minor roles in film continued for Hoffman over the next few years. In 1995 he joined the LAbyrinth Theatre Company where he staged and performed in numerous productions. However his breakthrough came in 1997 when he had a scene-stealing supporting role as Scotty J. in Paul Thomas Anderson’s Boogie Nights. Hoffman would act in three more Paul Thomas Anderson movies: 1999’s Magnolia, 2002’s Punch Drunk Love and 2012’s The Master. Over the next few years, Hoffman’s reputation as an actor would grow with more excellent performances in independent films like The Big Lebowski, Happiness, The Talented Mr. Ripley, and State And Main. He also showed he could act well in popcorn films like Patch Adams and Almost Famous. In theatre, he would earn a Tony Award nomination for Best Actor in 2000 for playing Lee in the readaptation of Sam Shepard’s True West. Further excellent performances continued for him in films like Love Liza (which was written by his brother Gordy), Owning Mahowny and the TV miniseries Empire Falls. He also continued to do come off well in box office fare like Cold Mountain and Along Came Polly. Theatre accolades would continue with his second Tony nomination coming in 2003 for his supporting performance in Long Day’s Journey Into Night. However big critical acclaim in film. kept on alluding him until 2005’s Capote. There he was to play Truman Capote in a biopic directed by former Tisch classmate Bennett Miller. He was even said to act in character even after scene shooting ended. It was there where Hoffman won the Academy Award for Best Actor for his performance. And Miller received his first and so far only Best Director nomination. Things became better for Hoffman commercially as he would play villain Owen Davian in Mission Impossible 3 months later. In 2007 he received Golden Globe nominations for Best Actor in the independent comedy The Savages and Best Supporting Actor for playing Gust Avrakotos in Charlie Wilson’s War opposite Tom Hanks. It’s his role in Charlie Wilson’s War that would earn him his second Oscar nomination. Hoffman would return as an Oscar nominee the following year in the Supporting Actor category again as Fr. Brendan Flynn in the film adaptation of the Broadway play Doubt opposite Meryl Streep and Amy Adams. Hoffman would continue acting in film, both independent and commercial. He would also continue acting and directing in theatre. He wouldn’t get too much notice or acclaim over the next two years but his work continued to be consistent. He would again steal scenes in 2011’s The Ides Of March and Moneyball as frumpy Coach Art Howe. 2012 was another big year for Hoffman as it would be acclaim in both his theatre and his film acting. On stage he blew Broadway crowds away during the summer with his performance of Willy Loman in Death Of A Salesman and played controlling yet charismatic religious leader Lancaster Dodd in The Master. 2013 would give him more exposure to the commercial movie crowd as he entered into the Hunger Games trilogy as Plutarch Heavensbee in 2013’s Catching Fire. He had already finished playing Plutarch in the first Mockingjay film and had just finished most of the shooting for the second as of February 1st. Outside of acting, Hoffman shied away from the spotlight. In 1999, he statrted dating Mimi O’Donnell. It would prove to be a permanent union and both he and Mimi had three children. He was open about his past alcohol and drug abuse from which experienced upon graduating from Tisch. He said of his experiences: “I abused anything I could get my hands on and I liked it all.” He recovered successfully and would describe himself as a teetotaler from his past experience but a relapse would eventually happen. In May 2013, he openly confessed to abusing heroine and prescription pills and checked himself into a rehab clinic for ten days. On Sunday February 2nd, Hoffman was found dead by playwright and friend David Bar Katz in the bathroom of his Manhattan office apartment. A hypodermic needle was found in his arm according to the police. Heroin was also found in the apartment. He was 46 years old. I hate to bring up the topic of tabloid gossip at a time like this but that topic is unavoidable. Especially when a famous actor dies in such a way. There’s no question in the weeks and months after, there will be a lot of questions about this. There will be some journalists who will want to interview Mimi O’Donnell or close family relatives about this situation. Cast mates of past movies will also be questioned. Even the rehab clinic Hoffman has been attending since his relapse will face its fair share of journalists. I myself am shocked to hear of that. Years ago I read his IMDB profile and it said he does not drink alcohol because of his past experience with alcoholism. I was happy feeling that there was an actor that can be free from scandal. I never knew about his relapse. This is especially surprising since you normally hear about such deaths of actors hugely in the public eye. And Philip was the opposite. He was mostly private, rarely attended A-list events, had friends who were mostly in theatre rather than in the Hollywood business, had an unmarried relationship to the same woman since 1999 and raised his kids quietly. I guess we’ll only know the whole story in the future. One thing to say is I don’t want to focus on the surroundings of his death. Even though I feel like asking ‘What happened,’ I’ll keep my mouth shut for now. 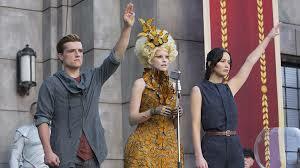 One thing I will say is that I will always admire Philip Seymour Hoffman for the actor that he was. I’m able to separate myself from actors as actors and actors as people. Whenever I admire actors, I admire them for their acting jobs. They’d have to give me a good reason for me to admire their lifestyle. Anyways Philip Seymour Hoffman was an excellent actor. He really knew how to embrace the character both physically and emotionally. He was more than a top character actor, he knew how to make the roles multidimensional. I’ve seen many of his performances and he never let me down once. He always delivered. I’ve always considered Philip to be one of the best actors of my generation. I also must confess I was secretly predicting and hoping that Philip would be the next Tom Hanks. It just showed how naive I was to the present acting system. There was a time when an actor had the ability to be both a master of their craft and a top box office draw. That was common form the 30’s to the 60’s. Then there was a time in the 70’s when the big money-winning movies and the serious films had a gap between them that really widened in that decade. With that came a bigger gap between the on-screen craftmasters and the money-winning A-listers. That was especially noticeable in the 80’s. The reason why Tom Hanks was so beloved was that he was one of those rarities who was able to deliver in their craft and bring in top box office dollar. I felt that Philip had the potential to do just that. I just wasn’t aware at the time of the types of actors that were able to win over the box office dollars. Turns out it’s back to being a looks thing again. Especially in the wake of the Twilight movies. I should know that 5′ 10″ and slightly pudgy won’t make you an A-lister. In fact one New York journalist summed up the physical appearance of Hoffman as: “a stocky, often sleepy-looking man with blond, generally uncombed hair who favored the rumpled clothes more associated with an out-of-work actor than a star.” That was just his nature. He was more interested in being an actor than a star. Like I said Philip never let me down. Whether it was a role in a popular popcorn movie or if it was in a serious independent production, Philip always delivered. Even his co-stars would vouch for that. I believe that’s the legacy Philip will leave behind. Character acting performances that he didn’t just play but embodied and he knew how to grab your attention. I will always admire him for that. 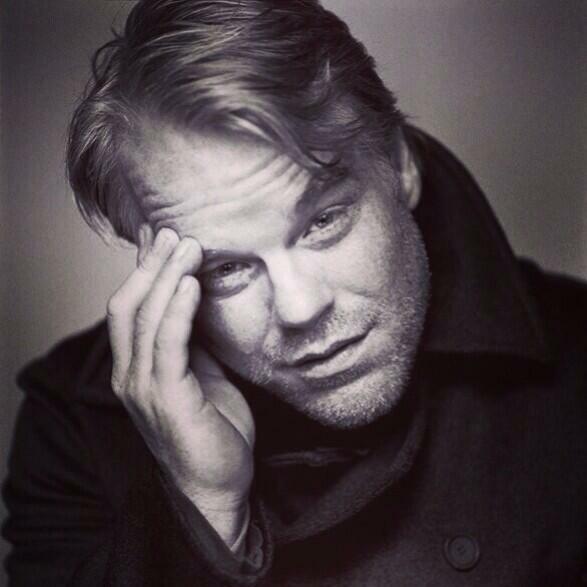 Rest In Peace, Philip Seymour Hoffman. And thank you for captivating us over the years. 9.79: Has It Been Exactly 25 Years Ago? 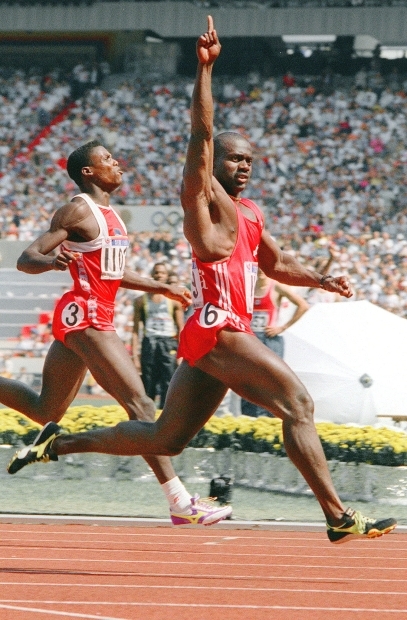 Ben Johnson (6) beat Carl Lewis (3) in the heavily hyped 1988 Olympic final of the 100m. A shocking truth would be unraveled three days later. It’s funny how time passes. We always think that way whenever we remember a great moment in sports. It’s that same feel whenever we remember one of the more infamous moments in sports too. Today marks the 25th anniversary of the 1988 Olympic 100m dash final: a moment that would eventually become Canada’s most infamous moment at the Olympic Games. Any Canadian who was around at the time will remember that moment whenever you bring it up. However I was reminded of it two months ago when I saw an ESPN 30 For 30 film about it entitled 9.79* It was a film I watched repeatedly on Youtube. The film brought back a lot of memories for me but it also showed me there was more than met the eye at the time. Here in this blog I will reflect on my memories of that moment, the years leading up, the years since, and my own thoughts while watching 9.79*. I was a teenager around the time of the Ben Johnson/Carl Lewis rivalry. I was one who followed the rivalry rather closely. I still remember how it was first a case of Carl Lewis and how he matched Jesse Owens’ feat of four gold medals at the Los Angeles Games of 1984 in the same four event Jesse won gold in 1936. I knew of the Canadian named Ben Johnson who won bronze in the 100m dash during those Games. Back then, Ben Johnson’s bronze and the bronze of Canada’s 4*100 relay was good news but quiet news. 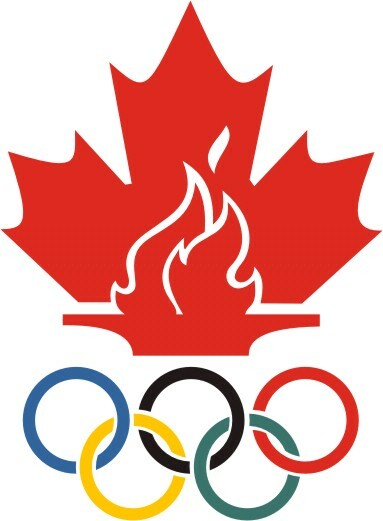 Thanks to the boycott of the Eastern Bloc nations, Canada won 44 medals in Los Angeles including ten gold. I remember around 1985 reading about a Canadian named Ben Johnson who won a big 100m race and beat Carl Lewis along the way. Already that would catch some Canadians’ attention, including mine. A Canadian that could beat the great Carl Lewis. Attention from Canadians grew in 1986 when Ben Johnson continued his winning streak against Carl in 1986. I even remember reading of a meet Ben won with a time of 9.95 which was just .02 seconds shy of the world record. I sensed Johnson to be a possible Olympic champion in 1988 at that time and maybe a possible world record breaker. Then came the 1987 World Championships in Rome. There are only two competitions in an Olympic sport where one can truly prove themselves the best in the world: the Olympic Games and the World Championships. It’s especially memorable not only for Ben Johnson’s win but for breaking the world record with a time of 9.83: one tenth of a second. I myself remember the World Championships of that year and CBC’s live broadcast. There was additional excitement to this showdown as Carl and Ben were assigned in side-by-side lanes which added more excitement. I was hoping to see the final live but I went away for something at the time. I don’t remember exactly what I left for. That night I saw the race at the end of a news broadcast. Before they were to show the race at the very end of the news show, the man made mention of the ‘9.83 seconds of Ben Johnson.’ I thought to myself: “9.83? That can’t be. You can’t break a 100m dash world record by a full tenth of a second. That’s too much. That has to be wind-aided.” I saw the rebroadcast of the race. I heard it was legit and I took it at face value at the time. For a year, I felt the same excitement as the rest of Canada knowing that we had the fastest man in the World. I think Ben even stole a lot of attention away from Wayne Gretzky. How often does a track athlete get more attention in Canada than a star hockey player? It made the anticipated Olympic showdown in Seoul that more exciting. The Olympic showdown in Seoul was definitely something to wait for in big anticipation but it was still one year away. And a lot can happen in a year. First off was the Calgary Olympics. Canada again failed to win a gold medal. The months and weeks leading up to the Seoul Olympics would provide both excitement and drama. First there was excitement of the anticipated Johnson/Lewis duel. Then there was mention of another Canadian, Desai Williams who was also Johnson’s teammate from the Scarborough Optimists track club, being another potential threat to the field. There were the two Angelas–Bailey and Issajenko– who were both threats for the women’s 100m dash. For the record, the two Angelas did not get along well off the track. There was the CBC Olympic preview show Road To Seoul which showed the potential medalists for these Games, both Canadian and foreign in the various sports, and them telling their stories of their training, competing and their goals for the 1988 Olympics. Then there was the drama of learning of Ben Johnson’s injury: a pulled hamstring. I didn’t learn about his injury until I was watching an Olympic preview show and it talked of Desai winning an international track meet as an injured Ben was a spectator in the stands. It left a big question mark whether Ben would heal in time for Seoul, not just for the sake of their own competition but drawing excitement and big-time attention to the Seoul Olympics. During Ben’s healing process came some more exciting news. In addition to Desai’s win, Angella Issajenko won the 100m at an international meet beating 1984 Olympic champion Evelyn Ashford of the US. The US Olympic trials also added to the excitement as Carl Lewis won the 100m in a wind-aided 9.78. Even though the time was not legit enough to be a world record, it sent a message to Ben which Ben naturally brushed aside. Another surprise moment at the US Olympic Trials was the 10.49 world record of Florence Griffith-Joyner in the 100m. It chopped more than a quarter of a second off the world record and is still questioned to this day, even though Griffith-Joyner’s autopsy results from 1998 declared nothing of steroid abuse. Another note: I also remember one Olympic preview show talk about doping procedures and how they’re conducted. After a sporting event the athlete would produce their sample and it would be divided into two testing samples. If the first sample called the A-sample tests positive, only the athlete is notified and they are given two options. I forget what the first option was but I know the second option was reproducing a sample. If the second sample called the B-sample is positive, it’s confirmed and the necessary penalties and suspensions are carried out. I was reminded in 9.79* of one key competition weeks before Seoul that would have a bearing on the story: the Weltklasse in Zurich. It’s funny how Zurich’s Weltklasse competition would provide a lot of key moments in the years of the Johnson/Lewis rivalry. In fact it was the 1985 Weltklasse where Ben’s first victory over Carl occurred. 1988’s Weltklasse was yet another focus of the Lewis/Johnson rivalry especially since this was Ben Johnson returning to competition since his hamstring injury. The Lewis/Johnson duel got even more attention than American sprinter Butch Reynolds breaking the 20 year-old world record in the 400m dash at that meet. I still remember CBC stopping broadcast of a soap opera at that time to show live telecast of that competition. I remember first seeing the warm ups and then seeing all of the runners shown lane-by-lane. Funny how the other sprinters who were in the same events of the Lewis/Johnson rivalry like Brit Linford Christie, American Calvin Smith and Jamaican Ray Stewart were frequently regarded by most as simply “lane-fillers” as Dennis Mitchell put it. I remember that Ben and Carl were again in opposite lanes and they both received the biggest cheers in the stadium when their names were announced. Then the run took place and Carl won with Ben third. That was Ben’s first loss to Lewis since 1985. I know it had some of us Canadian’s nervous. Hey, it was natural for us to want Ben to win in Seoul. Even before the final, there was drama in the preliminary races. First was the quarterfinal Johnson ran in. Johnson finished third and with there being six quarterfinals, the Top 2 automatically qualified for the semi while the last four qualifiers would be the four fastest of those that finished between 3rd and 6th. Ben ran the first quarterfinal and would have to wait until all six were run to know if he qualified. You could bet it was an agonizing time not just for Ben but for Canada too. Even after it was clear Ben’s time was fast enough to qualify, many of us Canadians including myself were still nervous. 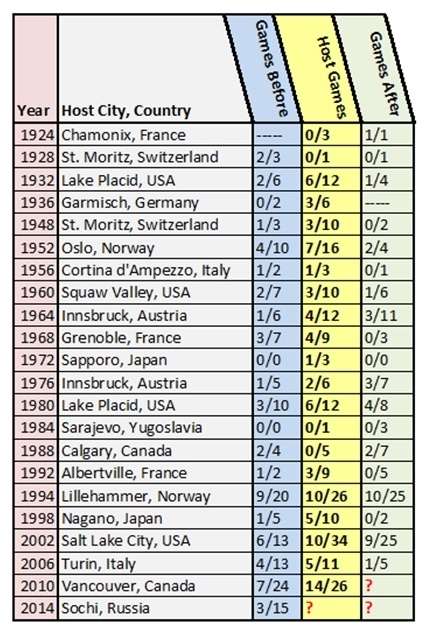 After seven days of Olympic competition, Canada was still waiting for its first medal of any color at these Games and we didn’t know what to expect from Ben the next day. As for Carl, he not only won his quarterfinal easily but was the only one to run it under 10 seconds. Anyways Ben and Canada could breathe a sigh of relief in the semis the next day as Ben won his semifinal. However Carl also won his semi and just like in the quarterfinals, he was the only one to run it under ten seconds. The heavily-anticipated Lewis/Johnson rivalry in Seoul would finally be a reality in the final but the world would then have to wait an hour and a half for it to start. I remember where I was during that exact moment too. It was a Saturday afternoon in Seoul when the event happened which meant because of the time difference, live broadcast took place late evening on a Friday for us Canadians. I don’t remember exactly too much about what I saw before the race started. I remember that my mother, my sister and I gathered around the television set. My father was at work doing overtime. Talk about hard luck that day. I remember the lane-by-lane rundown of all the finalists. I knew all their names but 9.79* reminded me of which runner was in which lane. I never forgot Carl was in Lane 3 and Ben was in Lane 6. I was also reminded by 9.79* of the starter and how he said “Take your marks” and “Set” in Korean. The film has made the memory hard to forget since. Then the start. Surprisingly there was not a single false start beforehand: just one bang and it started. Then the race: I could remember Ben in the lead right at the start of the gun. All of us were glued to the television set in both excitement and nervousness. Once Ben crossed the finish line, we all jumped up and cheered loudly in celebration. I was also stunned to see the world record from Rome broken. My father even called from work as he heard it on the radio while working. I remember he asked me: “Did you see it?” in excitement. I remember going into a conversation though I forgot all we talked about. The following night I went to a party. We were all drinking and dancing. I remember one guy saying “Yeah! Ben Johnson!” Euphoria continued on the Sunday as well as relief that we were now winning more medals in other events. Then the bombshell. Everybody may remember where they were when they were when the final was contested and I’m sure most, if not everybody, may remember where they were when they heard the shocking news. I remember where I was when I received the first hint. It was late Monday afternoon and I returned home from school. My mother came and said: “I heard some bad news.” I didn’t know what she was talking about. Then she said: “There’s news of a positive drug test and they think it’s Ben Johnson.” I was surprised but I thought to myself; “It can’t be.” I then turned on the television. Within time I learned that it was true. Ben Johnson had tested positive for the anabolic steroid stanozolol. I believe at first I didn’t want to believe it. However it was there on the television right in front of my face. I remember switching between the channels showing Olympic coverage that evening. It was all the same. Both CBC channels, the English and French-language ones, had the story. Even NBC was showing it. I also remember CBC’s live broadcast from the International Olympic Committee (IOC) Main Press Centre. It first started with an official announcing the sanctions to Ben: disqualification which included being stripped of his gold and a two-year ban from competition. It was followed by Alexandre de Merode, head of the IOC Medical Commission, being asked questions in various languages and responding in French. I was flicking between the three channels at that time. One station returned attention to the Olympic competition with the start of the men’s road race in cycling. Very ironically, it was won by Olaf Ludwig of East Germany. You’ll what I mean by ‘very ironically’ in my follow-up blog three days from now. That day did have some redeeming competition moments like Greg Louganis completing diving’s double-double of gold medals by winning platform diving and Canadian sailor Lawrence Lemieux receiving a porcelain box from the IOC for saving the life of a Singaporean sailor in danger of drowning days earlier. The aftermath was ugly. I remember Ben’s sister constantly saying: “No! No! He would never do anything like this!” I remember many people were saying it’s possible to be sabotage. I remember news footage of Ben making his way to the Seoul airport and Ben’s arrival in Toronto. Both times he was met by news people that were both hungry and hostile. I remember hearing of all the professional companies that endorsed Ben Johnson including Diadora withdrawing their endorsements to him almost immediately. Most Canadian athletes tried to compete without letting the news affect their own performances. The Canadian team would leave Seoul with a total of ten medals, three of them gold. The Canadian track team struggled to compete in the wake of that debacle. Canada’s only legit medal in Track and Field was decathlete David Steen’s bronze. The sprinters just fell apart. Canada was medal favorites in both 4*100m relays but the scandal just caused the sprinters to fall apart. The women’s team failed to qualify for the final and the men’s team could only muster 7th. Outside of Olympic competition, I remember a lot of news stories continuing. I remember Ben publicly declaring he had never knowingly taken steroids. Charlie Francis added to the alleged insistence of sabotage. But Angella held nothing back when she returned back to Canada. She declared that Ben took steroids and he knew about it. I remember news talk about Charlie’s team doctor Jamie Astaphan. I don’t remember of any mention of Dr. Astaphan before the news of the positive. If there was any, it may have been footnotes. After the news of the positive, you can bet there was focus on him. All this would pave way to an inquiry to get answers. Did Ben knowingly take steroids? Or was it sabotage? Who else was involved? On a comedic note, I remember watching the first Saturday Night Live of that season. There was the Weekend Report with Dennis Miller and he did some post-Olympic humor. First was of the American Joyner family. The second was on Ben Johnson. You’d figure SNL wouldn’t dare miss a chance on this. And they delivered as they had a segment where Ben inspired the All-Drug Olympics. The competition was held naturally in Bogota, Colombia and there was ‘live footage’ of a Soviet weightlifter attempting to lift a huge weight. The sportscaster detailed all the drugs the lifter took and said: “but it’s legit, actually it’s enouraged, here at the All-Drug Olympics.” The lifter didn’t just simply fail in his lift but his arms fell off, leading him bleeding from the joints. Miller ended the segment cracking: “With the Games half-over, Canada leads in total medals.” Further cracks from SNL on Ben Johnson would continue over the episodes which would piss my teenage sister off a lot. I don’t think she got it at the time but the reason why Ben Johnson and Canada got a lot of pot shots on SNL was because creator-writer Lorne Michaels is Canadian. The Canadian government set up an official inquiry at the start of 1989 to get the answers on Ben’s positive results. The inquiry would be conducted by chief justice Charles Dubin and would be officially known as the Dubin Inquiry. The Inquiry turned out to expose more than just the answers to the Ben Johnson scandal. In fact I remember one of the athletes testifying one month before Charlie Francis was a Canadian weightlifter who had nothing to do with the Ben Johnson scandal. Even some doctors involved in outside doping cases were interviewed. Shows that the inquiry was more than about getting answers to a positive drug test at the Olympics. In March 1989, almost five months since the test results were made public, Charlie Francis took the stand to testify. He admitted that he gave steroids to his athletes and that Ben knew all along that he was taking them. He even said that steroids gave a one-meter advantage in an event like the 100m dash. Simultaneously I remember reading that Desai Williams, who was preparing for a track meet in Europe, confessed his own participation in taking the steroids given by Charlie Francis. His reason: “If you can’t beat ’em, join ’em.” I also remember Carl Lewis’ reaction in response. He declared Ben: “a liar and a cheat. At least I have the world record by a clean athlete.” Angella Isajenko testified the following week. She even went as far as bringing her diary where she documented her steroid intake since 1979. I never saw live broadcast of the inquiry or even news coverage of that event. I did however read about it in the local newspaper. That’s the most I remember of that, and the tears she shed for her teammates the following day. There was one athlete not directly connected to the Ben Johnson scandal that caught my attention. It was Canadian sprinter Tony Sharpe. He competed at the Los Angeles Olympics in 1984 and qualified for the 100m dash final and would run as part of Canada’s bronze medal-winning 4*100m relay team. He stated in his testimony that steroid abuse gave him physical complications and would eventually lead to his premature retirement from the sport back in 1985. Serves as a reminder that for all the physical advantages steroids give, they also cause a lot of physical problems too. Funny thing is right when the Dubin Inquiry was happening, an American sprinter named Darrell Robinson said he saw Carl Lewis and Florence Griffith-Joyner purchase vials of steroids. I remember that story quite well. I also remember reading in Sports Illustrated that Robinson and Griffith-Joyner, who retired shortly after Seoul, were both interviewed on the Today show where Griffith-Joyner called Robinson a ‘lying lunatic.’ Robinson responded: “The truth will come out.” I remember hearing many stories about Carl threatening to sue Robinson but I don’t think it ever came about. I never did learn the end result. Back to the Dubin Inquiry, Dr. Astaphan finally testified. He admitted of all the steroids he gave to Charlie Francis and his athletes but the biggest shocker is that he gave some steroidic medicines that were veterinarian medicines: not meant for humans! I also remember him talking frequently of Winstrol. The bizarre thing I remember about this was that after he talked of all that he administered, he said he was keeping in line with the Hippocratic Oath he swore under. Funny. Since when did giving athletes performance enhancing drugs become in allegiance with the Hippocratic Oath? The crazy thing about this is that with every athlete or professional connected to the Ben Johnson scandal giving testimony, it made me more and more impatient in waiting for Ben himself to testify. Ben finally testified in June. I remember on that day, someone in my family was watching something else on television. It was the only television in the house at the time. I then turned on the radio and I could hear Ben Johnson examined by the justice. Later on he would admit to taking them. When asked why he said he never knowingly took them upon arriving home, he said it was because he was tired and frustrated from all that was happening. He also told the youth of Canada not to take steroids. Funny thing is even after Ben Johnson had completed his testimony, there were still people and doctors that testified some time after. Also I remember just shortly after Johnson’s testimony, Geraldo Rivera did a show about steroids on his talk show Geraldo. I remember at the conclusion of the inquiry, Justice Charles Dubin stated his conclusions and verdicts. He also blamed the cutthroat competitiveness of competitive sports and even things like the Olympic Games and high-payout athletic endorsements for the rampant use of steroids. There were additional penalties after the Dubin Inquiry. Both Desai and Angella were banned from competition for two years and were stripped of all their records. They would retire in that time. Other Canadian runners such as Mark McCoy who didn’t run his relay leg in Seoul in the wake of the scandal also received a two year ban. Charlie Francis would soon be banned from coaching for life. He appeared to have come clean after he admitted giving his athletes steroids. However he’d be disgraced again when he announced that he’d continue giving his athletes steroids. Once that was made public, he was banned for life. Ben Johnson’s world record from the 1987 World Championships was also stripped from the record books. The new record was the 9.92 run by Carl Lewis in Seoul. Ben was however allowed to keep both of his Olympic bronzes from Los Angeles. Desai and Angella were allowed to keep their 1984 Olympic medals too. There are some interesting footnotes. One is that there were three books released in a matter of two years since that were either about the scandal or made mention of the scandal. The most notable was Carl Lewis’ autobiography Inside Track released late in 1990. In that same time period Charlie Francis released his book Speed Traps. However the biggest one for me was Angella Issajenko and her book Running Risks which was released around the same time as Inside Track. I remember she even had a radio interview on a Winnipeg station while promoting her book. She made mention of a meet where Canada’s senior women’s relay team finished behind East Germany’s junior relay team. That’s when she made the decision to go on steroids. She also said she believed the world has learned nothing from this. I admire Angella for most telling it like it was. For years after Seoul, there was the big question about Ben Johnson running again. For a long time, the Canadian Olympic Committee (COC) was saying he can’t run for Canada again. Jamaica said they didn’t want him back. That changed when Carol Anne Letheren was made head of the COC. Johnson was allowed to compete for Canada again. I even remember a news story of Ben Johnson with his new coach in 1990. Ben’s comeback began at an indoor meet in the winter of 1991. I remember tracing Ben’s comeback attempt at the time. Upon returning, Ben looked less bulky since Seoul. Ben lost the race by a close margin. Ben would continue competing. However reality sunk in when there was a meet in France which was to be the first Johnson/Lewis rivalry since Seoul. It was actually won by American Dennis Mitchell. Carl Lewis finished second and Ben finished eighth and last. I was really hoping for Ben to come back from this and I was starting to lose hope in him. Further hope was lost when I learned he finished fourth at the World Championship Trials. His only berth at the Worlds came on the men’s relay. For the record, Canada had a new national fastest man: Bruny Surin. Ben was still persistent. He would qualify for the 100m dash at the 1992 Summer Olympics in Barcelona while Carl Lewis was ill at the US Olympic Trials and missed qualifying. Johnson only got as far as the semifinals in Barcelona. At that time I sensed some hope for Ben in the future. Unfortunately the Barcelona Olympics would be the last major competition Ben would appear in. Months later, he allegedly failed another drug test. This time he was banned for life. I was shocked myself because I wanted to see him come back a winner. He protested his innocence but declined to fight the charge since he was nearing the end of his career. He did fight the charges five years later and won only to test positive again in 1999. By then, I just shrugged it off. I didn’t have to worry. Canada already had a new World’s Fastest Man in Donovan Bailey and he never failed a doping test. It was obvious that steroids made Ben. So there you go. Those are my memories of the final in Seoul and what happened in the years leading to it and the years leading since. If I wouldn’t have seen that film 9.79*, I wouldn’t have remembered that today’s the 25th Anniversary of that moment. My how time flies. Anyways you heard my thoughts on the big moment today. I also posted my thoughts on doping in sport on Friday.